For most people, Wi-Fi isn’t just a convenience, it’s a way of life. A technology that was once used for powering your laptop or phone has now evolved into keeping the entire electrical workings of your household running smoothly. Enter the Internet of Things—the engine behind Smart Home Technology. At its core, IoT is simple: it’s about connecting devices over the internet, letting them talk to us, applications, and each other. The popular use is home heating and energy use. The related apps have have clever functions that let you turn on heating remotely, set it to turn down the temperature if it’s a sunny day, or even turn off when there’s no one home. Some can tell the latter with motion-sensing cameras, or simply by seeing that your smartphone (and therefore you) has left the property. Connecting all of your appliances to your smartphone is an obvious plus – it means that you can run your laundry while you’re at work, or save money on your energy bill by optimizing your heating to only be on when you’re home (and maybe 15 minutes either side). Some countries (like Canada) reward people with discounts for running their electricity during off-peak hours, so you could start your dishwasher at 3am instead of 7pm, when everyone else is starting theirs. Another advantage is that people have a greater awareness of where their resources are going with more information about what’s using what. Most smart home systems come loaded with usage logging tech, making it easy to see your resource use (and thus your money). A huge roadblock to the Internet of Things (IoT) in general and to smart home technology in particular is security. Broadly speaking, there are two problems to overcome. The first is that any time you connect a device to a network and connect that network to the internet, you open up another port you have to protect. Imagine that you were defending a castle. If the drawbridge is up, it’s nice and easy. If the drawbridge is down, it’s a little harder, but still manageable. Now imagine that there are 10 drawbridges, and they’re all down. That’s what adding multiple devices to your network does. The second problem is that most of the home tech on the market now runs on some variation of Linux, which means that they’re subject to the same security concerns that computers are, except that most devices fail to address security the way PCs do. All these devices and systems collect a lot of personal data about people. That smart meter knows when you’re home and what electronics you use when you’re there—and it’s shared with other devices and held in databases by companies. Smart home technology is projected to be a billion dollar business by 2020, and it represents the most advanced sector of the Internet of Things. 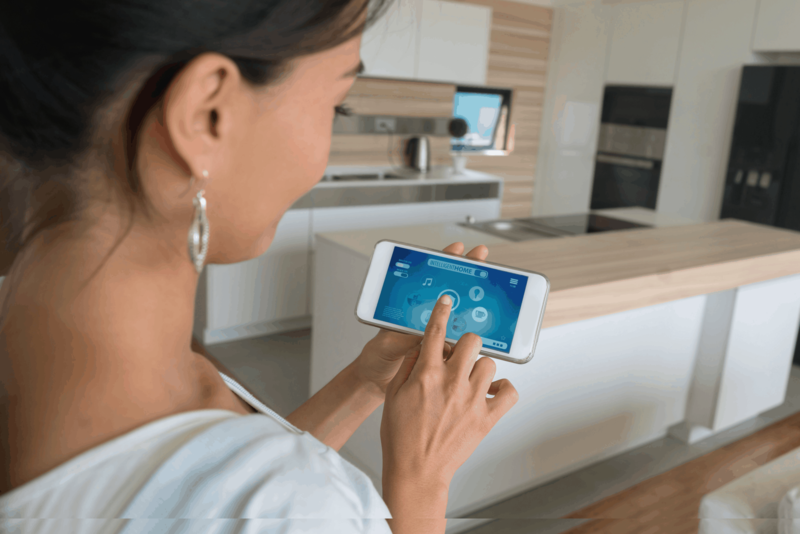 The appeal is clear: more information, more control, and more automation of your home let you make better decisions and optimize how you use your limited resources. Looking for ideas on how to save money and live efficiently? The Merenda Real Estate Group can help. With 20+ years of industry knowledge and a client-forward approach, let The Dealmakers get you the results you want and the experience you deserve. Contact us today or call 416-240-SOLD (7653).